For other uses, see Franco-Spanish War (disambiguation). For years, the Kingdom of France, under the Valois and Bourbon dynasties, had been the rival of the House of Habsburg, whose two branches ruled the Holy Roman Empire and Spain, respectively. For much of the 16th and 17th centuries, France faced Habsburg territory on three sides: the Spanish Netherlands to the north, the Franche-Comté on its eastern border, and Spain to the south. The Habsburgs thus stood in the way of French territorial expansion, and France faced the possibility of invasion from multiple sides. France therefore sought to weaken Habsburg control over its possessions. 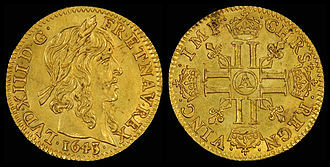 During the Thirty Years' War, in which various Protestant forces battled Imperial armies, France provided subsidies to the enemies of the Habsburgs. France generously financed the Swedish invasion of the Empire after 1630. After a period of extraordinary success, the Swedish-led Protestant forces were decisively defeated in 1634 by a combined Catholic Imperial-Spanish army in the Battle of Nördlingen, leading many of Sweden's allies to defect to the Imperial side. Although Sweden itself continued to fight, it was seriously weakened. 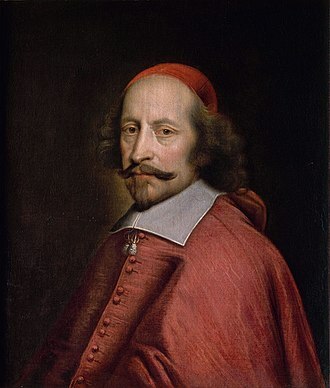 Seeking to ensure that its major ally remained in the war and ensure an outcome favourable to France, the First Minister of France, Cardinal Richelieu, decided in 1635 to involve his kingdom in the active fighting and declared war on Spain. The open war with Spain started with a promising victory for the French at Les Avins in 1635 as part of a combined Franco-Dutch assault on the Spanish Netherlands. But after defeating the Franco-Dutch invasions, the Spanish forces under Cardinal-Infante Ferdinand of Austria hit back with devastating lightning campaigns in northern France the following year, leaving French forces reeling. The Spanish looked set to invade Paris just as their vast commitments forced them to suspend their offensive. The lull in the Spanish attacks gave the French a chance to regroup and force the Spanish back towards the northern border. They also sent forces through Lorraine into Alsace to cut the Spanish Road, the vital supply line connecting the Spanish Netherlands to Spain through the Mediterranean port of Genoa. In 1640, internal political tensions caused by the burden of the Thirty Years' War led to simultaneous revolts in Catalonia and Portugal against the Spanish Habsburgs. 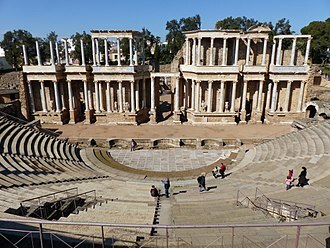 Spain was now fighting two major wars of secession in addition to a great international conflict; the total collapse of the Spanish Empire appeared imminent. The institutions of Catalonia proclaimed the Catalan Republic allied with France in January 17, ostensibly to help the rebels. In 1643, the French defeated one of Spain's best armies at Rocroi, northern France; the myth of Spanish invincibility was at an end. During the last decade of the Thirty Years' War, the Spanish forces in the Spanish Netherlands were sandwiched between French and Dutch forces. The French won a major victory at Lens, but Franco-Dutch forces could not decisively crush the embattled Army of Flanders. When the peace treaty was negotiated, France insisted upon Spain being excluded, but the demand was rejected by other parties to the talks. In the Peace of Westphalia, France gained territory in Alsace, thus interrupting the Spanish Road. At the signing of the treaty, Spain recognized the independence of the Dutch republic but gave up little else; indeed the Spanish had to be paid to leave positions they had seized on the Rhine. In Italy, France fought with the more or less reluctant support of its client state Piedmont against the Spanish in the Duchy of Milan. Confusion was added from 1639–1642 by the Piedmontese Civil War. The siege of Turin in 1640 was a famous event in both this war and the Franco-Spanish conflict. 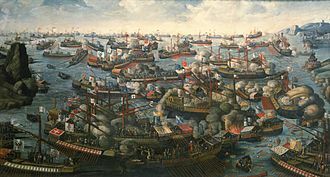 In 1646, a French fleet commanded by Jean Armand de Maillé-Brézé (18 October 1619 – 14 June 1646) was defeated in the Battle of Orbetello on the Tuscan coast, and the army it was sent to support was repulsed by Spain's Tuscan presidios; Milan remained firmly under Spanish dominance. In 1648, a major revolt against royal authority, known as the Fronde, erupted in France. Civil war continued until 1653, when royal forces prevailed. At the conclusion of the Fronde, the whole country, weary of anarchy and disgusted with the nobles, came to look to the king's party as the party of order and settled government, and thus the Fronde prepared the way for the absolutism of Louis XIV. 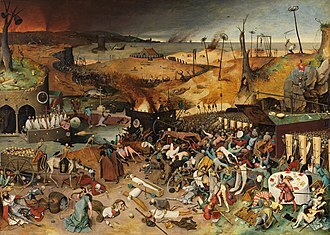 The general war that had been initiated by the French nobles continued in Flanders, Catalonia and Italy, wherever a Spanish and a French garrison were face to face, and Condé, with the wreck of his army, openly and definitely entered the service of the king of Spain. This "Spanish Fronde" was almost purely a military affair and, except for a few outstanding incidents, dull to boot. Along with this uprising, Spain was also fighting in Italy and still battling the revolt in Portugal and the French-backed Catalan Revolt. The Spanish focused their main efforts on recovering the Principality of Catalonia and various Italian territories for strategic reasons, which helped the Portuguese to consolidate their rebellion. In Italy, the war along the border between Piedmont and the Spanish-held Duchy of Milan continued. Twice, in 1647–1649 and 1655–1659, France managed to open a second front against Milan by gaining the alliance of Francesco I d'Este, Duke of Modena, but this never achieved the desired result of breaking the Spanish defence. In the south, the Neapolitan revolt collapsed, and the French forces backing it were driven out by the Spanish army and naval forces in 1648. 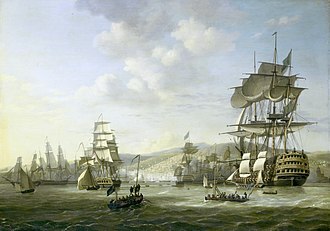 However, a Franco-Portuguese fleet captured Piombino and Porto Longone, which encouraged the Duke of Modena to become allied with the French Crown and gave the French a new base for operations against the Spanish in the Italian peninsula. Practically every French campaign in Italy during the war was intended to cut the Spanish Road, but all failed. The French, weakened by the Fronde, were unable to hold Catalonia against reconquest by the Spanish forces; the French cause was undermined when the Catalans discovered that the French were even more overbearing than their former Spanish Habsburg masters, and many switched their loyalty back to the chastened regime in Madrid. Taking advantage of French divisions, Spanish forces, under Archduke Leopold Wilhelm, sallied forth from the Netherlands on two occasions: the first met a spirited defence assisted by local peasantry; the second successfully seized several northern French forts in February–March 1652. Having lost support from the Catalans, weakened by internal squabbles, and threatened by the Spanish from the north once again, the French were obliged to withdraw most of their forces from south of the Pyrenees. The remnants of Catalan resistance and the depleted French forces in Barcelona surrendered to Spanish Habsburg forces in October 1652. The Spanish remained distracted by the Portuguese Restoration War, and although they carried the war north, across the Pyrenees into the old Catalan county of Roussillon, the fighting was desultory and the front stabilised, with the Pyrenees as the effective border. By 1653, general exhaustion had reached the point that "neither invaders nor defenders were able to gather supplies to enable them to take the field until July. 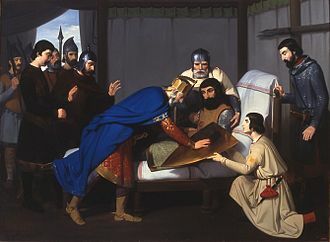 At one moment, near Péronne, Condé had Turenne at a serious disadvantage, but he could not galvanize the Spanish general, Count Fuensaldaña, who was more solicitous to preserve his master's soldiers than to establish Condé as mayor of the palace to the King of France, and the armies drew apart again without fighting. In 1654 the principal incident was the Siege and Relief of Arras. 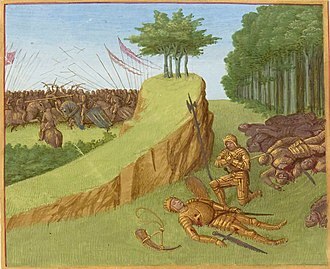 On the night of the August 24–August 25 the lines of circumvallation drawn round that place by the prince were brilliantly stormed by Turenne's army, and Condé won equal credit for his safe withdrawal of the besieging corps under cover of a series of bold cavalry charges led by himself, as usual, sword in hand. In 1655, the French suffered another major blow in Italy with their defeat at Pavia, but the attempt of Spanish forces based in Milan to conquer Modena failed to break a skillful defense led by the Duke of Modena. Under Turenne, the French captured the fortresses of Landrecies and Saint-Ghislain. In 1656, the prince of Condé revenged himself for the defeat at Arras by storming Turenne's circumvallation around Valenciennes (July 16), but Turenne drew off his forces in good order. Since England was already at war with Spain, an Anglo-French alliance against Spain was established when the Treaty of Paris was signed in March 1657. The campaign of 1657 was uneventful and is only memorable because 3,000 civil war hardened English infantry, sent by Cromwell in pursuance of his treaty of alliance with Mazarin, took part. 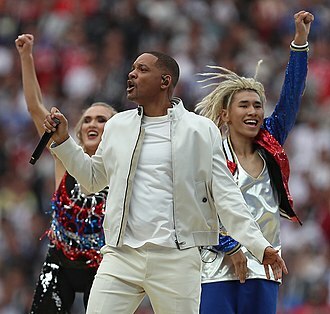 The presence of the English contingent and its very definite purpose of making Dunkirk a new Calais, to be held perpetually by England, gave the next campaign a character of certainty and decision that had been entirely wanting in the latter stages of the war." Dunkirk was besieged promptly and in great force, and when Don Juan of Austria and Condé appeared with the relieving army from Veurne, Turenne advanced boldly to meet them. The Battle of the Dunes, fought on June 14, 1658, was the first real trial of strength since the Battle of the Faubourg St Antoine. 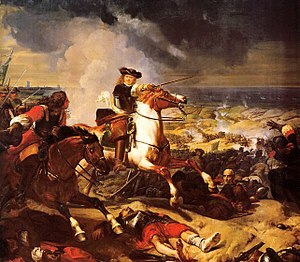 The battle resulted in an Anglo-French triumph over the forces of Spain, Condé and the English royalists. Dunkirk fell to French forces for the second time in the war and was handed over to England as had been promised. It would remain under English rule until 1662 when it was sold by Charles II to Louis XIV. A last desultory campaign followed, which ended when the Spanish again repelled French advances in Italy and Catalonia. The last battle was fought at Camprodón, Catalonia, in 1659, resulting in a Spanish victory. The Peace of the Pyrenees was signed on November 5, 1659. 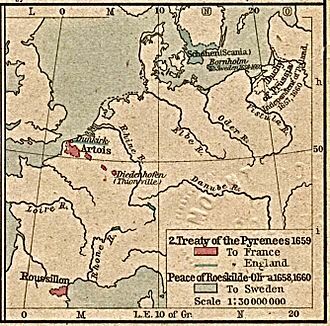 France gained the territories of Artois, Roussillon and smaller areas along its border with the Spanish Netherlands. In return, France agreed to end its support for the breakaway kingdom of Portugal in the Portuguese Restoration War. 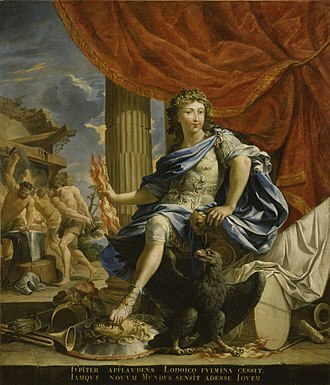 On January 27, 1660 the Prince de Condé asked and obtained at Aix-en-Provence the forgiveness of Louis XIV. The later careers of Turenne and Condé as great generals were as obedient subjects of their sovereign. 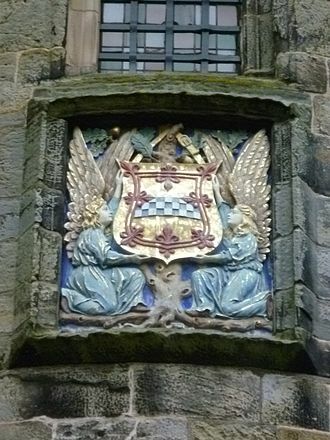 ^ Lord Wentworth's Regiment served as part of the Spanish Army. ^ Clodfelter, M. Warfare and Armed Conflicts: A Statistical Encyclopedia of Casualty and Other Figures, 1492-2015, 4th ed. p. 40. ^ "The treaties of Westphalia and the Pyrenees were more obviously a compromise reflecting an existing balance of forces than a military diktat imposed by victorious powers". Parrott, David: Richelieu's Army: War, Government and Society in France, 1624–1642. Cambridge: Cambridge University Press, 2003. ISBN 0521792096, pp. 77–78. Parrott develops this idea in France's War against Habsburgs, 1624-1659: the Politics of Military Failure in García Hernan, Enrique; Maffi, Davide: Guerra y Sociedad en La Monarquía Hispánica: Politica, Estrategia y Cultura en la Europa Moderna (1500-1700), 2 vols; Madrid: Laberinto, 2006. ISBN 9788400084912, pp. 31-49. There, he labels France's war against Spain as "25 years of indecisive, over-ambitious and, on occasions, truly disastrous conflict". ^ "The Peace of the Pyrenees was a peace of equals. Spanish losses were not great, and France returned some territory and strongholds. With hindsight, historians have regarded the treaty as a symbol of the 'decline of Spain' and the 'ascendancy of France'; at that time, however, the Peace of the Pyrenees appeared a far from decisive veredict on the international hierarchy". 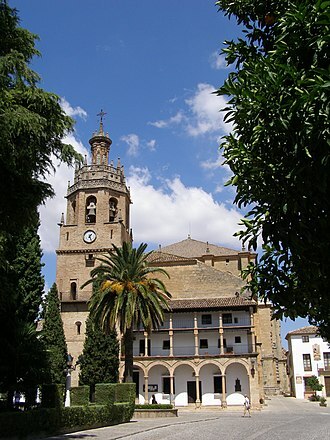 Darby, Graham: Spain in the Seventeenth Century. 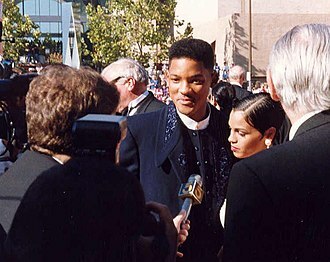 London: Longman, 1995. ISBN 9780582072343, p. 66. ^ R.A. Stradling states that despite the French victory at the Battle of the Dunes, "The subsequent negotiations [...] resulted in a peace settlement in which both sides made concessions; the treaty of the Pyrenees was far from being the Ditkat commonly implied in the textbooks". He also cites Antonio Domínguez Ortiz's The Golden Age of Spain, 1516–1659 (1971) to reflect the stalemate: "It is certain that if in 1659 France had not moderated its demands the contest would have been continued interminably." Stradling, R.A.: Spain's Struggle For Europe, 1598-1668. London: The Hambledon Press, 1994. ISBN 9781852850890, p. 27. ^ "Spain had maintained her supremacy in Europe until 1659 and was the greatest imperial power for years after that. Although Spain economic and military power suffered an abrupt decline in the half century after the Peace of the Pyrenees, Spain was a major participant in the European coalitions against Louis XIV and in the peace congresses of Nymwegen (1678-79) and Ryswick (1697)". Levy, Jack S.: War in the Modern Great Power System: 1495-1975. Lexington, Kentucky: The University Press of Kentucky, 2015. ISBN 081316365X, p. 34. ^ Saluzzo, Alessandro de (1859). Histoire militaire du Piémont (in French). Turin. ^ a b c d e f g h i Chisholm, Hugh, ed. (1911). "Fronde, The" . Encyclopædia Britannica. 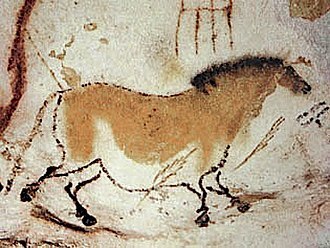 11 (11th ed.). Cambridge University Press. p. 248. His mother died the following year. 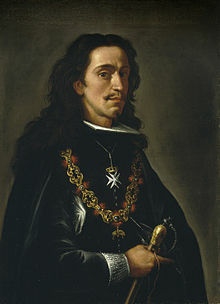 While still a man, Thomas bore arms in the service of the king of Spain in Italy. Not only did Thomas have older brothers, he was but one of the twenty-one acknowledged children of Charles Emmanuel. While only nine of these were legitimate, the others, being the widowed dukes offspring by noble mistresses and he was appointed Grand Maître of the kings household, briefly replacing the traitorous Grand Condé. He engaged the services of the grammarian and courtier Claude Favre de Vaugelas as tutor for his children. 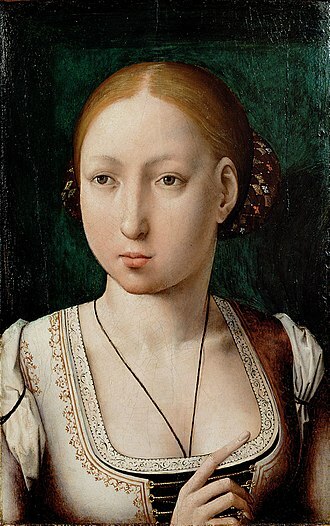 This prevented the substitution of Savoyard for French influence in that region, marie did eventually inherit her brothers main holding in France, the county of Soissons, but this would be established as a secundogeniture for the French branch of the family. 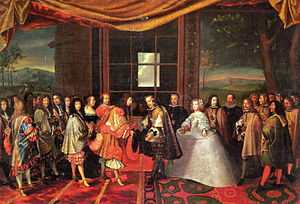 After Thomas, the branch of his descendants repatriated to Savoy, alternately marrying French. Thomas first recorded service is as a commander in the Piedmontese army under his father in the war against France in 1630 and it was probably around this time that he first encountered Mazarin, who was during 1630-32 in effect a French agent at the Piedmontese court. He managed to rally the remnants at Namur, retreated before the numerically-superior French and Dutch forces, and he probably served the rest of the campaign with Ferdinand. Late in the year, the refugee Charles IV, Duke of Lorraine arrived in Brussels and met Thomas, they may have formed a joint court and Piccolimini subsequently stuck so close to La Force that the French were unable to undertake any serious operations. He took Turin by trickery, but the French continued to control its citadel, in 1640, he held the city in the multi-layered siege of Turin. By late summer, both Thomas and Turenne were seriously ill and Du Plessis Praslin was in temporary command. 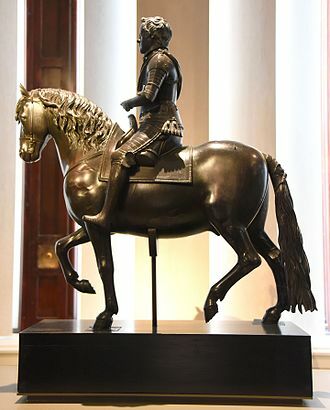 In 1645, now commanding with Du Plessis Praslin, he took Vigevano, and repulsed a Spanish attempt to block his withdrawal at the River Mora, the nearest he ever came to a success in the field. On his return with the French fleet, Thomas was delayed in Provence, when he returned to Piedmont, Thomas had no choice but to accept the fait accompli, and soon after this he went to live in Paris. The Duchy of Parma was created in 1545 from that part of the Duchy of Milan south of the Po River, which was conquered by the Papal States in 1512. These territories, centered on the city of Parma, were given as a fief for Pope Paul IIIs illegitimate son, Pier Luigi Farnese. 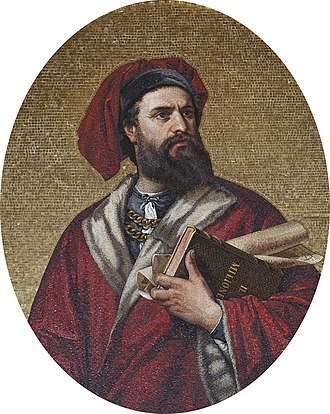 In 1556, the second Duke, Ottavio Farnese, was given the city of Piacenza, becoming thus Duke of Piacenza and he ruled until 1735 during the War of the Polish Succession, when Parma was ceded to Emperor Charles VI in exchange for the Two Sicilies. As Duke Philip, he became the founder of the House of Bourbon-Parma reigning over the Duchy of Parma, Piacenza, in 1796, the duchy was occupied by French troops under Napoleon Bonaparte, and the political situation of the State became extremely confused. Napoleon was undecided about the future of the duchy, aspiring to an engagement of the Bourbons in the European wars as his allies. Even as French laws and administration were introduced, the formal annexation to the French Empire was declared only in 1808 after the outbreak of the conflict against Bourbonic Spain. Mazarin succeeded his mentor, Cardinal Richelieu. 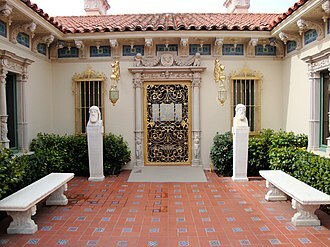 He was a collector of art and jewels, particularly diamonds. His personal library was the origin of the Bibliothèque Mazarine in Paris, some of these principles, such as the nation states sovereignty over its territory and domestic affairs and the legal equality among states, remain the basis of international law to this day. Giulio Raimondo Mazzarino was born in Pescina, part of the Kingdom of Naples, giulio was the older brother of Michele Mazzarino, Master of the Sacred Palace under Pope Urban VIII, and Archbishop of Aix-en-Provence and a cardinal. Contemporary John Bargrave suggested that his father Pietro Mazzarini had lost a significant amount of money during a transaction and was forced to flee to Rome. Regardless, Pietro was a notary who made use of his connections to the Colonna once he arrived in Rome and became chamberlain to the Constable Filippo I Colonna and he had a younger sister, Laura Margherita Mazzarini. Mazarin studied at the Jesuit College in Rome, though he declined to join their order, at seventeen he accompanied Girolamo Colonna, one of the sons of Filippo I Colonna, to the university of Alcalá de Henares in Spain, to serve as his chamberlain. 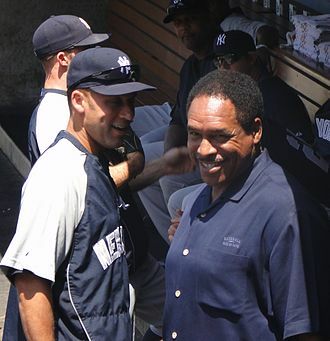 His stay was brief, a notary who had advanced some cash to cover gaming debts urged the charming and personable young Mazarino to take his daughter as bride, with a substantial dowry. Later Mazarin frequented the University of Rome La Sapienza, gaining the title of Doctor in jurisprudence, Mazarin followed Filippo I Colonna as captain of infantry in his regiment during the war in Monferrato of 1628, over the succession to Mantua. During this war he gave proofs of much ability, and Pope Urban VIII entrusted him, in 1629. At the time Anna Colonna, daughter of Filippo I Colonna, was married to Urbans nephew Taddeo Barberini, and the Pope now made her brother, Girolamo Colonna, Archbishop of Albano and a new cardinal. The Cardinal was sent to Monferrat as papal legate, to treat of peace between France and Spain in the matter of Mantua, and insisted that Mazarin be attached to his legation as secretary. As papal vice-legate at Avignon, and nuncio extraordinary in France, under Habsburg pressure, Mazarin was sent back to Avignon, where he was dismissed by Urban VIII on 17 January 1636. 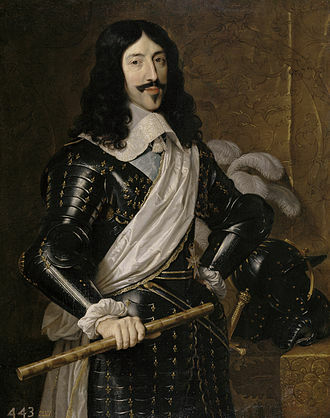 Philippe, comte de la Mothe-Houdancourt, Duke of Cardona, was French Viceroy of Catalonia and a Marshal of France who fought in the Thirty Years War. 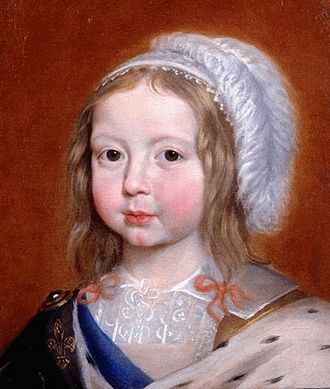 Philippe de la Mothe-Houdancourt was one of 12 children of Philippe, Seigneur de La Mothe-Houdancourt, de Sacy et de Rucoin, and his third wife, Louise Charles du Plessis-Picquet. Since 1622 he fought in the Chevau-légers against the Huguenots and was present at the Siege of La Rochelle and he fought in the War of the Mantuan Succession and at the taking of Pinerolo in 1630, and the battle of Carignano bridge, where he was wounded. On September 1,1632 he fought in the Battle of Castelnaudary against Henri II de Montmorency, in the same year he was made governor of Bellegarde. At the outbreak of the Franco-Spanish War he fought at the head of his own regiment in the Siege of Nancy, the Battle of Les Avins, the Siege of Leuven. In 1636 he defended Saint-Jean-de-Losne against Charles IV, Duke of Lorraine, the next years he fought several battles in Germany at the head of his own Army Corps under Henri II dOrléans, Duke of Longueville. As lieutenant general he was sent to Piedmont to temporary command of the army after the death of Louis, cardinal de La Valette, waiting the arrival of Henri de Lorraine. Here La Mothe-Houdancourt distinguishes himself in taking Chieri and defeating the Spanish in the Battle of Casale, in 1641 he was sent to Catalonia at the head of the French Army to support the Catalan Revolt. After some initial victories he besieges Tarragona, but the city can be supplied by the Spanish over sea, in September he takes the castle of Tamarite in Aragon, returns to Tarragona and lifts the siege of Almenar by the Spanish in November. In 1642, La Mothe won the important Battle of Montmeló on March 28 capturing a Spanish force of 3.600 men. For this victory he is made a Marshal of France on April 2, Viceroy of Catalonia on June 25 after the dismissal of Urbain de Maillé-Brézé and Duke of Cardona in October. On October 7, he obtained his most important victory, the Battle of Lleida, against Diego Felipez de Guzmán, by 1644 the balance was shifting in favor of the Spanish. Fame arrived for Heim with Charles X Rewarding Artists, and he was regarded as the "Bourbons' appointed artist".